The following was written and published at Joshua’s story site: Telling the Stories that Matter. 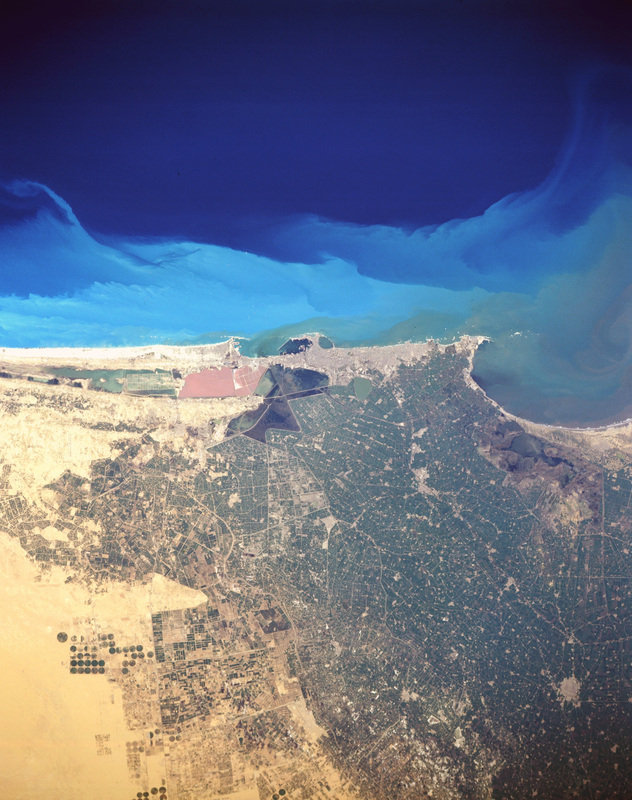 Potamiana was a Christian in Alexandria, Egypt, in the year 205 A.D. But Potamiana’s faith amounted to far more than conviction and tolerated practice. No, faith for Potamiana was a likely death sentence. After all, the prefects and rulers of Roman Alexandria were more than willing to execute Rome’s harshest forms of punishment upon those that Rome had declared enemies of the State–such as Christians who refused to make sacrifices to the Roman gods and values. So, Potamiana was condemned to suffer and die for her faith when she continued to abstain from the commanded idolatry of Rome. The prefect wanted Potamiana to be boiled to death in pitch slowly but he first wanted the woman to be raped by some gladiators because of her continued insistence that she was consecrated to celibacy by her faith in a foreign power: her Lord and Savior Jesus Christ. So, she was placed into the hands and care of one of the Roman soldiers, one that the prefect trusted and who had become known as something of a loyal official within the court, named Basilides. Basilides was willing to make sacrifice before the idols and values of Rome and was given his charge over Potamiana so that she might suffer and die for her refusal. Basilides took her from the court of the prefect and knew that she was first to go and be raped before being taken to the place of her public and gory execution. On the way, though, Basilides began to have second thoughts about the brutality of his orders. She had kept her virginity as a type of offering before the Christian God she worshiped and although Basilides didn’t have the same reverence for her God he respected the tenacity she held. She showed unexpected bravery for a woman facing certain, gruesome death. So, Basilides did something very surprising–perhaps because he was ashamed at the idea of having the woman raped in addition to executed, perhaps because he wanted to get the whole thing over with sooner rather than later, or perhaps because he wanted to show Potamiana mercy–he bypassed the gladiators and took her directly to the spot of her death. Potamiana thanked Basilides and returned to her prayers as they walked to Rome’s bloody altar where she would be turned over to death in the name of the Roman values and convictions. The crowds screamed at her and insulted this traitor to Rome as she walked the last few hundred yards. Basilides commanded the worst of them to stop and they did, for the most part. When they tried to throw stones and garbage at her he stepped in between her and the crowd knowing that none of these crowd would have the courage to throw such things at an emissary of the Empire. Once Potamiana was handed over for execution she was slowly lowered into a cauldron of burning pitch but she thanked Basilides for his kindness and mercy and promised that she would pray for him and for his conversion. Potamiana died a martyr and Basilides went home shaken by her words and bravery. She had faced death without a tremor of fear and with a confidence that he wasn’t certain he and others could have mustered in a similar situation. The love and forgiveness she had offered to those around her even as she was shown nothing but brutality and hatred haunted his thoughts. She had called his actions merciful even though Basilides was still leading her to her death in chains. A few nights after her death he a dream wherein Potamiana appeared and assured him that she was still praying for him and that she would gladly welcome him when he followed after her. Basilides knew what she meant and in the morning he sought out a priest and was converted to the faith of Potamiana and away from the faith of the empire. He knew intimately that there was a cost associated with such an audacious act but he paid it willingly. After his baptism, he went to his fellow soldiers and proclaimed his new found faith to them. At first they thought he was joking but their laughter turned to amazement when he insisted that he was telling the truth. Being loyal to the gods and values of Rome they turned him over to their rulers so that they might not incur Rome’s condemnation themselves. Basilides was beheaded for being convinced of the faith of the one he had escorted to death–a faith that offered mercy even for the greatest of sinners and forgiveness and love even for enemies. Peter was the second son of Yuri Vladimirovich the prince of Murom in what we might now call Russia. Eventually he became the prince of Murom himself. He had been raised in the Christian faith by his family and friends and this provided him some comfort but it did not immediately address Peter’s most pressing issue: the leprosy he had contracted shortly before taking the throne. Each day presented fantastic opportunities for a prince like Peter and his faith instructed him to use his power to take care of those who had been outcast. He had a calling and was equipped to do God’s will for his life but he struggled daily under the burden of his disease. Likewise he prayed daily for either healing from or understanding of this burden. One night after many days in God’s service as prince of Murom he received an answer to his prayers that offered both healing and understanding. He was told that there was a woman who was the daughter of a beekeeper and a peasant named Febronia. If he would go to her, then she would work a wonder over him and heal him. Peter went to find her the next day. When Peter saw Febronia he gasped at her beauty. As prince had been surrounded by pretty women who were both alluring and flirtatious.Yet in Febronia he saw something different–she was only a peasant but there was a beauty within her that seemed to shine only for Peter.For a moment he forgot all about anticipated healing and sought only to talk to this woman who so thoroughly captivated him. Each day he would return to her home only to rest in her presence and learn more and more of who she was and what she believed.He was encouraged to learn she was a Christian but was even more encouraged by the fact that she held no disgust for his leprous appearance and, in fact, seemed to see some beauty within him that had been made only for her. Peter told Febronia about his vision and she seemed humbled by the very thought that God would use her to heal a prince. She agreed to pray over him and to serve God’s will by fulfilling God’s promise of healing. But before she could pray, Peter asked her to marry him after she was done working God’s wonder over him. She agreed to his proposal and then prayed for his healing as his beloved fiance. Peter was healed at the request of his beloved–made whole by the love of another and the will of God–and soon the two were married. There was one very big problem with this fairytale romance, however. The Russian nobles detested the very thought that a noble prince would marry a peasant. 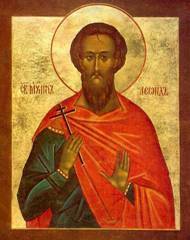 Even worse was Peter’s clear infatuation and devotion to Febronia who they viewed as an unworthy commoner. They came to Peter and they urged him to cast his peasant wife aside. They appealed to his sense of tradition and nobility but this proved unsuccessful.They encouraged him to be thankful to Febronia for the healing–perhaps even pay her handsomely–but not to persist in marriage to a woman unable to attain nobility by their standards. Peter stoutly refused and remained committed not only to his beloved wife but also to their common faith which taught them the value of devotion and vows. So, Peter and Febronia were forced out of Murom and they traveled by boat away from the city. In their travels and wanderings they knew that they were “home” as long as they were with each other. They performed miracles and wonders as they traveled and their reputation not only as wonder-workers but, also, as devoted husband and wife spread. They died as they had lived–together and within the same hour. They were buried in the same grave for they shared one life. The following was assembled and written by Joshua Hearne for the worship service of Grace and Main Fellowship. Psalm 9:9-20The Lord is a stronghold for the oppressed, a stronghold in times of trouble. Sing praises to the Lord, who dwells in Zion. Declare his deeds among the peoples. so that I may recount all your praises, and, in the gates of daughter Zion, rejoice in your deliverance. The nations have sunk in the pit that they made; in the net that they hid has their own foot been caught. For the needy shall not always be forgotten, nor the hope of the poor perish forever. Put them in fear, O Lord; let the nations know that they are only human. Go now with the blessing of our God, who favors the underdog and is on the side of the forgotten, abandoned, and oppressed. Go with the blessing of our Lord whose every command to all of creation is heard and obeyed. Go with the word of God on your lips and in your heart, guiding you to be where the Kingdom already is and where it’s headed. Ephrem was the child of Christian parents who were active in their congregational family in Nisbis. This was a mark in the favor of Ephrem’s potential spiritual growth. From birth he was raised hearing the stories of life through death and the redeeming power of pure, unblemished love. We cannot and should not underestimate this for a single moment. Further, the congregation that Ephrem was a part of–and into which he was eventually baptized–was led and cared for by Jacob of Nisbis. Jacob was one of the men who signed the documents of the First Council of Nicea in 325 when Ephrem was almost twenty years old. 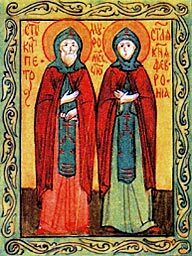 This meant that Ephrem was learning from one of the pillars of the Church how best to likewise become a great leader of the Church and devoted follower of the Church’s bridegroom. 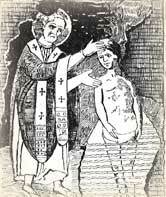 He was baptized by Jacob and eventually appointed both deacon and teacher. But Ephrem took an interesting approach to his educational vocation. He did not ask his students to memorize and he did not teach them in the lecturing didactic style so common at the time. Instead, he wrote poetry and hymns. 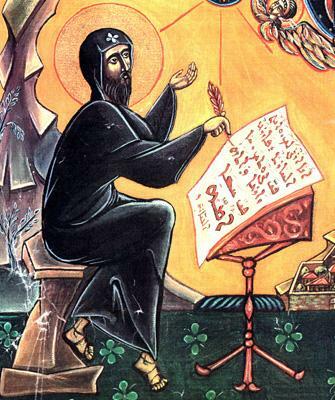 Ephrem was convinced that the great mysteries of God could not be handled with the calculating hands of academia and must be carefully cradled by the hands of the arts. With poetry and music the mysteries of the Faith could flourish and not be “solved” but, instead, be entertained, experienced, and appreciated. Constantine died in 337 and the Persian ruler Shapur II began to raid the northern portions of Roman Mesopotamia. These attacks were repelled, according to Ephrem’s hymns and poetry, by the mighty prayers of Jacob of Nisbis. But some twenty years later they were picked up again and the Roman empire was willing to make a deal because of the chaos ripping through its power structure in the wake of the death of Julian the Apostate in battle. Since Constantius II was not willing to attend to the needs of the cities of norther Mesopotamia and the new ruler Jovian was willing to sacrifice the cities to save his army, the city of Nisbis was turned over to Shapur with the understanding that its Christian population would be banished. 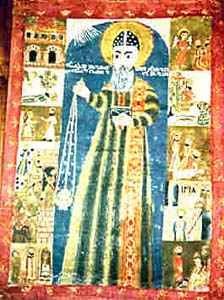 Ephrem led the community in its exile and they eventually landed in Edessa. In Edessa, Ephrem helped to rebuild the congregation and continued to teach them through the wonders of poetry and hymnody.Even as rival teachers tried to engage him in formulaic debate he refused to abandon the world of the arts for the world of academic discourse. He wasn’t concerned with winning arguments and solving intellectual puzzles, he was concerned with taking care of the mysteries and proclaiming what amounted to nothing more than foolishness to most. Our pride is in the name of the Lord our God. Psalm 20The Lord answer you in the day of trouble! The name of the God of Jacob protect you! May he remember all your offerings, and regard with favor your burnt sacrifices. May he grant you your heart’s desire, and fulfill all your plans. May we shout for joy over your victory, and in the name of our God set up our banners. May the Lord fulfill all your petitions. Some take pride in chariots, and some in horses, but our pride is in the name of the Lord our God. Go now in the peace that comes from abiding one with another in the shade of God’s great plan for the world. Go out into the world among people of all types and kinds and recognize the work of the Spirit in the lives of those you meet. By the order of the emperor Vespasian, the Roman senator Adrian was declared governor of Phonecia. Adrian was given the charge of discovering and punishing the rapidly growing contingent of Christians in the area. Further, Adrian knew the ways of death and punishment that Rome taught to be used on those who resisted the imperial way. Knowing that Tripoli was the cornerstone of any potential control of Phonecia, he gathered intelligence on the Christians of Tripoli while he journeyed there from Rome. What he learned was that there was one Christian in particular who was practicing and encouraging the practice of hospitality in Christian homes throughout the city and the larger region. This kind of radical hospitality revealed a void at the base of the imperial values of self-obsession and angered an empire that had no time for the naive love of the Christians.Especially maddening was Leontius’ occupation: Roman soldier and military chief. So, Adrian sent one of his prized tribunes, Hypatius, along with a contingent of soldiers ahead of him to arrest and hold Leontius so that when Adrian arrived, he could try and execute a leader among the Christians as an example to the others on his first day in Phonecia. Adrian wanted to set a precedent for Rome’s way of death and punishment. Hypatius knew his orders very well and so he led his group of soldiers–including his dear friend Theodulus–in executing the governor’s will in Tripoli. But, as they approached Tripoli, Hypatius became very ill. The soldiers stopped and set up camp to care for their dying leader. Voices were hushed as Hypatius languished alone in his tent and drew nearer and nearer to death by the second. Though the empire claimed to control death, they could do nothing to protect themselves from its power when disease and tragedy crept through their camps and homes. As Hypatius drifted between fitful sleep and awakened agony he had a vision of an angel standing before him. The angel said to Hypatius: “If you wish to be healed, you and your soldiers should say three times: ‘God of Leontius, help me. '” Hypatius refused to do so but told his dear friend Theodulus what he had seen. The soldiers were eager to save the life of their commander and so they prayed what the angel had taught and Hypatius was miraculously healed. The soldiers were astounded and Theodulus himself was converted to the faith of Leontius in the wake of such a miracle. Hypatius was left with questions but he still had his duties and so he and his soldiers continued on to Tripoli. When they arrived, they were hungry and tired and a hospitable person took them in for the night. Unbeknownst to the soldiers, their host was Leontius and, though they were unaware of the identity of their host, Leontius knew who they were and why they had come. In the morning he revealed his identity to the men and they were awestruck that he knew they had come to arrest him so that he might be executed for his faith. His audacious hospitality purchased their attention and they listened to him explain the Christian faith and the way of love and redemption. Theodulus had already converted and so he not only professed his faith in front of his friends and peers but, also, preached the same gospel to them that Leontius confessed. Hypatius soon became a Christian, as well, and the three men prepared for the arrival of Adrian.They knew that Adrian’s arrival likely meant their deaths and so they prayed one with another and tried to ready their minds and hearts for the challenge of their martyrdom.The converts among them were baptized shortly before Adrian arrived and sent yet more soldiers to arrest them when he found out what had happened to his tribune and soldiers. Leontius was forced to watch as both Hypatius and Theodulus first refused to renounce their newfound faith and then were beaten and executed. He was returned to his cell and left to think about the brutality he had witnessed but when Adrian brought him out again Leontius was still unwilling to renounce his faith. So Adrian had Leontius hung upside down by his feet and a heavy weight tied around his neck. This did not kill him at first but it slowly stretched him to death. While he suffered, he was beaten on the chest, stomach, and back with wooden rods. Eventually, they beat him to death and tossed his body outside of the city along with the bodies of Hypatius and Theodulus. The local Christians who had learned hospitality from Leontius sneaked out to the bodies that night and buried them with a Christian funeral. Aquilina was another subject of the expansive Roman empire at the end of the third century. She was born in Byblos in what we now know as Lebanon. Her family was Christian and so she was raised in the faith of her parents and the Apostles. That which she received had been passed down for many years from mouth to ear with a hopeful faith that God would guard and guide the transmission of it time after time after time. So, she received the story through catechism from the Bishop of Byblos–from a man called by God and appointed by the Church named Euthalios–and it changed the way she looked at everything. When she first heard the sublime notes of that sweet story, her heart leaped in her chest and she could no more than affirm it with her every word and breath. She became enamored with the sweet and simple truth of it and took to her studies with vigor and eagerness. Though she was only twelve she somehow sensed that her faith must grow and increase for the days that were to come. Days that for a twelve-year-old girl were coming all too quickly. She responded, “I am a Christian. That’s why.” This was confusing to Volusian who could not fathom such a young girl easily accepting a Gospel that taught the only way to live was to die and that it was better to perish painfully than to renounce faith in Jesus whom had been crucified. Volusian had her young body raked with metal claws and then she was thrown in prison for the night. They pierced her eardrums with hot spikes and further beat and abused her.When Aquilina still refused to deny her faith, she was beheaded in the morning on the morning of the thirteenth of June in the year 293.